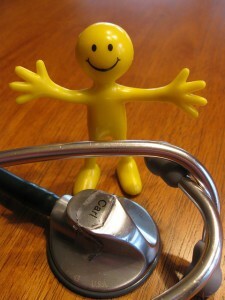 When it comes to health, people always think of physical health and forget about the mental aspect. A good number therefore don’t make a conscious effort to stay mentally healthy. 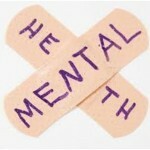 Mental health is more often confused with mental illness. Some people even wonder whether they need routine evaluations in order to keep the mind healthy. If you talk to any psychologist, you will find that mental health comprises of many factors, including feeling good about oneself, being able to respond effectively to life’s high and lows, and most importantly, having a balance in your life and in your thinking. A healthy mind dwells in a healthy body. Exercise is not only good for the body, it is good for the mind too. If you have been exercising, say, three times a week, how does it feel? It’s evident, you feel light. Research has it that exercise is a great stress reliever. To be specific, exercise improves blood flow throughout the body, reduces muscle tension and reduces symptoms of mild depression. So, even if don’t have a workout schedule, in order to make changes in your mental health, routinely engage in activities such as taking a brisk walk during your breaks or playing with your kids. Just be active! A healthy diet helps the body to function efficiently, but, what about the mind? Ever skipped a meal and found yourself irritable? Food affects your mood. A few changes to your diet can in fact help to promote mental function, bring down anxiety, and reduce symptoms of depression and other mental disorders. There are foods that can lighten mood, improve energy level, and prevent irritability. These include walnuts and fish such as cod or mackerel, which are rich in omega-3 fatty acids. Omega-3 fatty acids are “essential” fatty acids –they are not produced in body, but we need them – that have a host of health benefits. They reduce cholesterol, prevent heart disease, and improve mood. People with schizophrenia, bipolar disorder, depression, and other mood disorders, are sometimes prescribed omega-3 as supplements, even if they are not considered as replacements for mood-stabilizing drugs. Other healthy foods that should be a part of your daily diet are whole grains, yogurt, leafy greens, fruits and vegetables. Don’t skip breakfast and eat when you are hungry. Sleep is essential for the body – there is no doubt about that. However, there is a difference between rest, sleep, and having enough sleep. If you have enough sleep, your brain will always have all the time to repair and replenish your brain cells. Once the brain is replenished, your mood, decision-making and social interactions will be improved. On the other hand, if you don’t get enough sleep, you feel sad,restless, stressed and bad-tempered. So, in order to get the benefits, don’t just sleep but get enough sleep. Drinking is never safe for our health. Nevertheless, if you have to take some bottles of beer, wine or any alcohol of your choice, do it with moderation. Don’t forget to watch what you drink. Have it in your mind that alcohol is a depressant, hence slows down your brain activity. Other drinks that may affect your mental health include caffeinated drinks such as black tea, coffee and cola. Even though caffeine is a stimulant, too much of it makes you feel nervous, irritable or restless, thus affecting your mental health. When you talk about your feelings, you benefit psychologically as well as deal with your troubles in an efficient way. Expressing your emotions is not a sign of weakness, but allows you to take charge of your psychological well-being. Giving voice to your troubles can help chase away the black dog of depression. It is never easy to express what you feel. It may feel awkward at first, but when you focus on solving the problem, becomes easier. When you do this, others open up to you too, thereby making a good connection between you and your loved ones. Are you your own worst critic? Do you enlarge your shortcomings and obsess over the slightest misstep? You end up sabotaging yourself by over-judging yourself and comparing yourself to others. Accept yourself as you are, even if those around you don’t. A good self-esteem makes you resilient and helps you deal with hardships when life takes a difficult turn. Additionally, when you accept who you truly are, you get to focus on what you can do well. What do you get in return? You become a positive person and live life to the fullest. Caring is an important factor when it comes to relationships with people close to you. How do people feel when they know somebody cares for them? It makes them feel valued and needed, therefore bringing you closer. Show that you care, reach out to those close to you, and you will get it back many times over. When you have many positive and healthy relationships around you, you will feel happier and valued too.